The brief for this project was to produce a design that would illustrate the look and feel of how the proposed design from NineDesign would work. 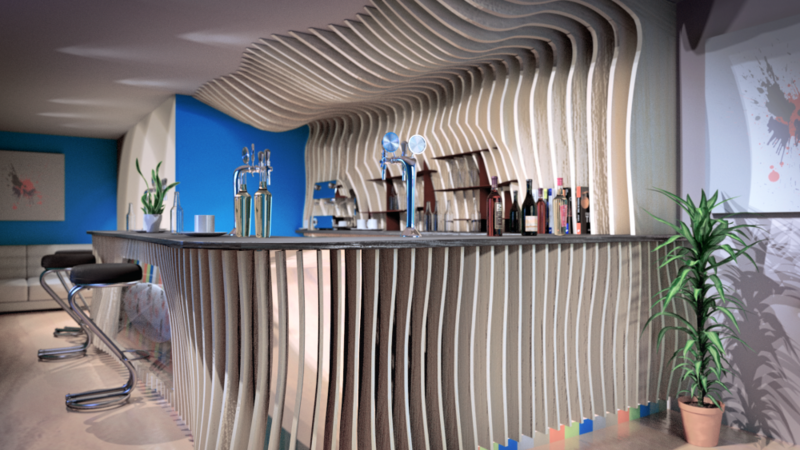 Using a 3D visualisation as visual imagery gives it an effective way to communicate both abstract and concrete ideas using the design from NineDesign in Bude. The 3D visualisation of the hotel bar was started from scratch and tries to reflect a realistic picture of how the bar will look and feel as if it was built already. To ensure this realistic aspect was met the surrounding environment such as beer pumps, plants, chairs, sofa and sunlight had to match the style of the current branding and features that TommyJacks implements. This project was undertaken as part of my employment with MD Web Solutions (www.md-websolutions.co.uk). All images and project information published with permission from MD Web Solutions.